The Department mission is to enable students to become specialists capable of developing environments, conducting evaluations and investment, and developing policy and regulations. Students who complete the program are expected to apply this knowledge as leaders of the real estate industry of Japan. 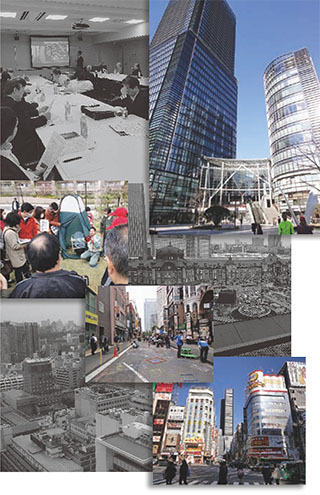 The Graduate program of Real Estate Science was established in 1992 as the first major focused on real estate in Japan. Although coursework concerning real estate previously existed, it was difficult to properly explain every issue and subject around real estate through any one course alone. Thus, this program was more fully developed, to be taught comprehensively by several professors and specialists from many fields. The graduate program of Real Estate Science is built on a faculty with widespread specializations, not focused only on architects, city planners and architectural engineers, but also economists. Many experts from the real estate industry are hired as faculty in the special program. The students are expected to learn how to plan and design city development, or redevelop downtown districts and similar activities. Upon graduating from the Master’s or Doctoral program, almost all students will be employed in the real estate industry.